Cook a fresh ham on the grill. As soon as the warm weather rolls around, many backyard cooks are ready to fire up their grills for another season of outdoor cooking. You can cook a wide variety of meats on the grill, including fresh ham. 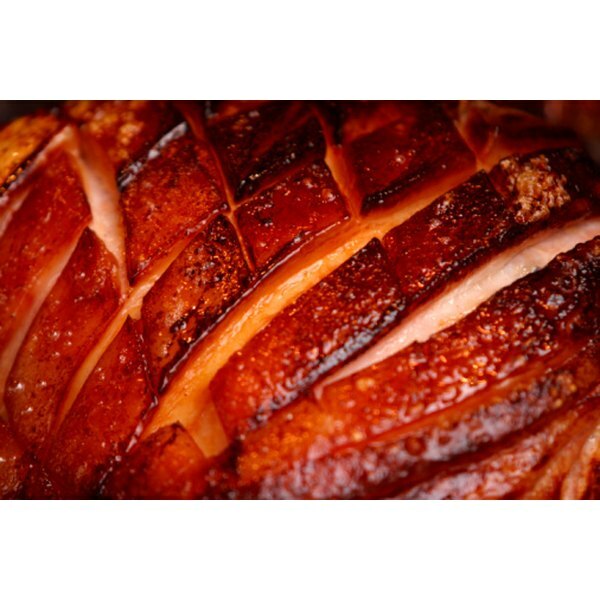 A fresh ham is a hind leg of pork that has not been cured, and it is beige or pale pink, similar to a pork roast. 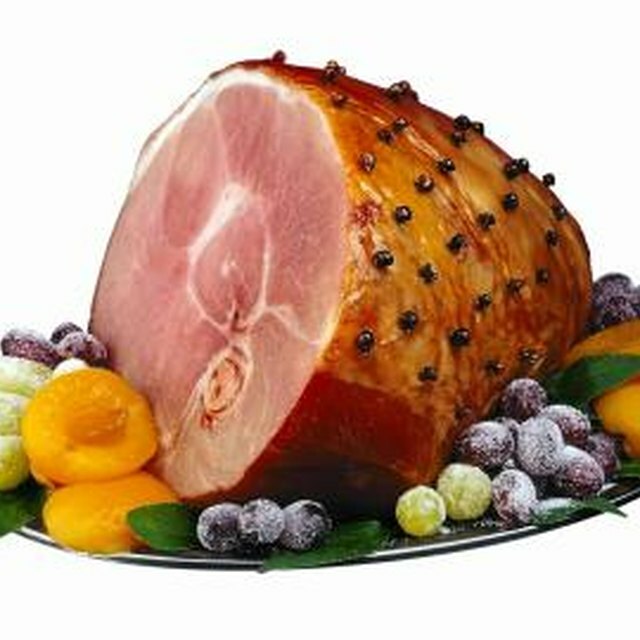 A fresh ham is not pre-cooked, as are some other types of ham, so you must be sure it's completely cooked before eating it. Purchase your ham. Check the product label for the word "fresh;" USDA regulations state the package label must indicate the product is a fresh ham. Note the color of the fresh ham, which should be pale pink to beige. A whole fresh ham will weigh 15 to 20 lbs. Prepare the brine solution and brine the ham, if desired. You can brine a fresh ham before cooking, or you can grill it without brining. The food and recipe website "Epicurious" suggests brining a fresh ham in an 8- to 9-quart deep pasta pot, chilling it for one to two days. Remove the ham from the brine and let it sit out to come to room temperature. This takes approximately 30 minutes. Insert a heat-proof meat thermometer into the center. If your fresh ham is bone-in, don't allow the meat thermometer to touch the bone. Prepare the grill to cook the ham. Cooking a fresh ham on the grill requires indirect heat to ensure it cooks through. This means the ham will not sit directly over the heat source. Place a drip pan under the grate where the fresh ham will sit. For a charcoal grill, fill a charcoal chimney with briquettes and ignite. When the charcoal is ready, move it to one side of the grill. For a gas grill, light one side and leave the side under the fresh ham unlit. Pre-heat the grill as you would an oven. Place the ham on the grill over the drip pan with its fatty side facing up. Lower the grill cover, with the bottom vents fully open and the side vents open about one-quarter. Add more charcoal every 30 minutes or so for even cooking. Check the ham after one hour and turn it over. You will need to cook a fresh ham 15 to 20 minutes per pound, depending on the heat of the grill. For the ham to be cooked through, the internal temperature needs to reach 155 to 160 degrees F.
Remove the fresh ham from the grill when done. You can use the drippings for basting, then cover the ham with foil, letting it sit for 30 minutes to an hour before carving and serving.